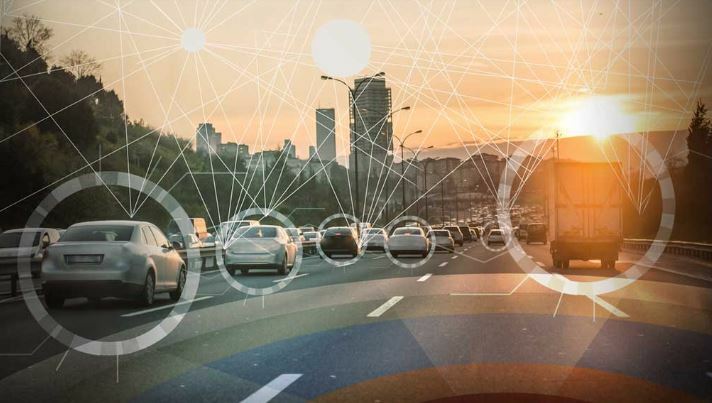 How the upcoming Wi-Fi 802.11ax standard promises to pave the way for the zettabytes of sensor data in connected vehicles. Imagine motoring along through busy, urban traffic in your new connected car that is learning, getting smarter, safer and more reliable as it is driving. Such a car is constantly gathering and generating all kinds of data that is intermittently and opportunistically being uploaded to the cloud. As more cars on the road feature advanced wireless connectivity, this exciting future will become commonplace. However, each car will need to share the network with potentially hundreds of other cars that might be in its vicinity. While such a use case could potentially rely on LTE/5G cellular technology, the costs associated with employing such a “licensed pipe” would be prohibitively expensive. In such situations, the new Wi-Fi standard 802.11ax, also known as high efficiency wireless (HEW), will be a life saver for the automotive industry. The zettabytes of data that cars equipped with a slew of sensors will create in the years to come will all need to be uploaded to the cloud and data centers, enabling next-generation machine learning in order to make driving increasingly safe and predictable in the future. Uploading this data will, of course, need to be done both securely and reliably. The car – as an 802.11ax station (STA) – will also be to able upload data to an 802.11ax access point (AP) in the most challenging of wireless environments while sharing the network with other clients. The 802.11ax system will be able to do this via technologies like MU-MIMO and OFDMA (allowing for spatial, frequency and time reuse) which are new innovations that are part of this emerging standard. Today, STAs compete rather than effectively share the network and have to deal with the dreaded “circle of death”’ awaiting connectivity. This is because today’s wireless standard can often be in an all-or-nothing binary mode of operation due to constant competition. When coupled with other upcoming standards like 802.11ai, specifically fast initial link setup (FILS), this vision of cars uploading data to the cloud over Wi-Fi becomes a true reality, even in environments where the car is moving and likely hopping from one AP to another. While this “under the hood” upload use case is greatly enhanced by the 802.11ax standard from an infrastructure perspective, download of software and firmware into connected cars can also be transformed by this same standard. It is well known that the number of processors and electronic control units (ECUs) in car models is expected to increase dramatically. This, in turn, implies that the software/firmware content in these cars will likewise grow at exponential rates. Periodic firmware over-the-air (FOTA) updates will be required and, therefore, having a reliable and robust mechanism to support this will be vital for automobile manufacturers – potentially saving them millions of dollars in relation to servicing costs, etc. Such is the pace of innovation and technological change these days that this can sometimes happen almost immediately after cars come off the assembly line. Take the example of a parking lot outside an auto plant containing hundreds of brand new cars requiring some of their software to be updated. Here, too, 802.11ax can come to the rescue by making a mass update more efficient and reliable. This advantage will then carry forward for the rest of the lifespan of each car, since it can never be predicted what sort of wireless connectivity environment these cars will encounter. These could be challenging environments like garages, driveways, and maybe even parking decks. The modulation enhancements that 802.11ax delivers, coupled with MU-MIMO and OFDMA features, will ensure that the most efficient and reliable Wi-Fi pipe is always available for such a critical function. Given that a car can easily be on the road for close to a decade, having this functionality built in from day one would be a tremendous advantage and could enable significant cost savings. Again, accompanying technologies like Wake on Bluetooth Low Energy and Bluetooth Low Energy Long Range will also play a pivotal role in ensuring this use case is realized from an overall end-to-end system standpoint. These two infrastructure type use cases are likely to be tremendous value-adds for the connected car and can justify the presence of 802.11ax, especially from an automobile manufacturers’ point of view. Even consumers are likely to see significant benefits in their vehicle dashboards where the mobile APs in their infotainment systems will be able to seamlessly connect to their latest smartphone handsets (which will themselves be 802.11ax capable within the 2019 timeframe). Use cases like Wireless Apple CarPlay, Wireless Android Auto Projection, rear seat entertainment, wireless cameras, etc. will all be a breeze given the additional 30-40% throughput enhancement in 802.11ax (and the backward compatibility this standard has with previous Wi-Fi standards for such use cases to cooperatively coexist). Just as in homes, the number of Wi-Fi endpoints in cars is also proliferating. The 802.11ax standard is the only well-designed path for an increasing number of endpoints and yet provides the best user experience. The 802.11ax as Release 1 (aka Wave 1) is well on its way to a concrete launch by the Wi-Fi Alliance in the second half of 2019. Products are already being sampled by silicon vendors – both on the AP and STA/mobile AP side – and interoperability testing is well underway. For all wireless system designers at OEMs and their Tier 1 suppliers, the 802.11ax Wi-Fi standard should be a goal, and especially for any product launch set for 2020 and beyond. The time has come to begin future proofing for the impending arrival of 802.11ax infrastructure. The days of the wireless technology in your smartphone/home/enterprise and in your car belonging to different generations are long gone. Consumers demand that their cars now be an extension of their home/work environments and that all of these living spaces function as one. The 802.11ax is destined to be one of the key pillars of technology to make such a vision a reality. Marvell has been a pioneer in designing Wi-Fi/Bluetooth combo devices for the automotive market since the debut of such devices in cars in 2011. With actual development beginning almost a decade ago, the automotive wireless portfolio has been honed to address key use cases over five generations of products, through working closely with OEMs, Tier 1s and Tier 2s. All the technologies needed to achieve the various use cases described above have been incorporated into Marvell’s fifth generation device. Coupled with Marvell’s offering for enterprise class, high-performance APs, Marvell remains committed to providing the automobile industry and car buyers with the best wireless connectivity experience — encompassing use cases inside and outside of the car today, and well into the future. Avinash Ghirnikar is director of technical marketing for Marvell's Connectivity Business Group.